We will deliver and set up the chair prior to the surgery date. The chair is picked up when the woman feels it is no longer a necessity (usually about 3 weeks). The Recovery Chair is more than just a chair. It's a symbol of love and community. Think of the chair as an extension of YOUR community. Think of it as a little "hug." A hug for us, from us. After all, we are in this together. 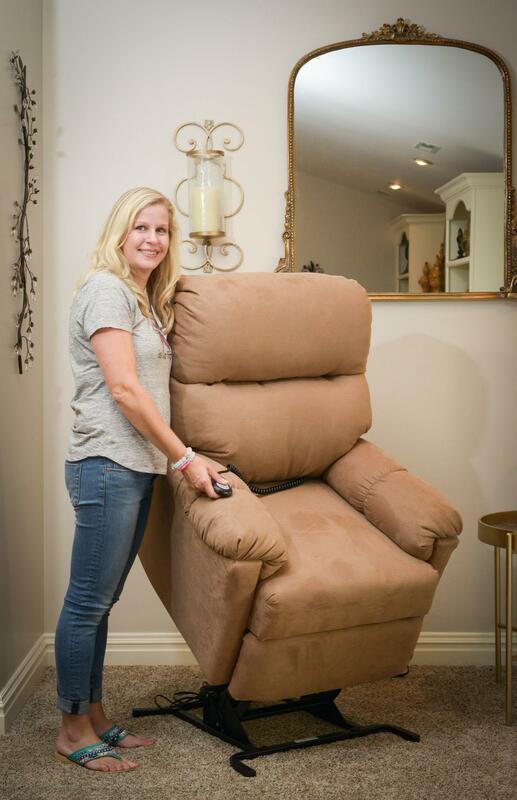 Established in 2018, The Recovery Chair was started by two women who wanted to help their friends recover comfortably after undergoing a mastectomy. Watching the Hallmark channel, they saw the commercial of an organization lending comforting chairs to breast cancer patients. They thought why not bring this to the East Coast?? One chair led to two, then two led to three, and so The Recovery Chair was born! Servicing the tri-state area, our goal is to buy many chairs in order to simultaneously help each and every woman recover comfortably AND independently in a power lift chair recliner.